In other words, Barack Obama’s apparent assumption of an endless conflict between Sunnis and Shiites in Iraq was more than a slip of the tongue. Instead this seems to constitute a key ingredient in the Democratic narrative on Iraq: the country can be held together only by a strong ruler, otherwise Shiites and Sunnis would be at each other’s throats. Biden’s incarnation of the argument also served to clarify that Democrats quite literally are thinking of hundreds of years when they advance this contention; by his counting, the problems began in the early fourteenth century. That is certainly a slightly odd place to start, since Baghdad at the time was governed by Mongol rulers who themselves were rather difficult to label, sometimes they were pro-Shiite, sometimes pro-Sunni. At any rate, even if the exact number of centuries in this case may be attributable to a Biden idiosyncrasy, the main point is clear. Democrats do not think Shiites and Sunnis have any tradition of coexistence in Iraq. “When we kicked -- along with France, we kicked Hezbollah out of Lebanon, I said and Barack said, ‘Move NATO forces in there. Fill the vacuum, because if you don't know -- if you don't, Hezbollah will control it [presumably this is an interesting way of referring to the process toward UN Security Council Resolution 1701]. " With regard to Iraq, this kind of arrogant drive towards a “settlement” would threaten to derail potentially positive developments currently going on inside the country, and would play into the hands of the neighbouring countries, especially Iran. It has to be stressed that those positive developments – a cross-sectarian alliance of parties generally seeking to diminish the exaggerated privileges accorded to ethno-sectarian forces in the 2005 constitution – take place despite current US policy, which continues to favour those who put sectarian identity and not Iraqiness first. Nevertheless, backers of the new political current have managed to move from a situation in which they were in the minority in parliament back in October 2006 (when the law for implementing federalism was adopted) to a position of strength in the summer of 2008 (when they created a parliamentary majority to demand exceptional interim arrangements for Kirkuk instead of a mere postponement of elections there and earned the name “the forces of 22 July”). These forces have consistently been ignored by the Bush administration. It is now clear that the Democrats, too, are unable or unwilling to detect their existence. But the particularly dangerous aspect of Democratic strategy concerns the eagerness for the “settlement” to be quick and easy. 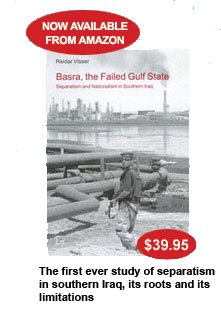 Today, perhaps for the first time since 2003, it seems realistic to think that Iraq gradually may be able to fix itself, despite US policies that often work to the advantage of those who want to fish in sectarian waters. If the more nationalist forces continue to make advances in the provincial elections they could get to a position where they could contest the 2009 parliamentary elections as a wide coalition through mobilising on shared issues of constitutional reform with enormous resonance among the general population (among the recurrent slogans are “no cession of Kirkuk to Kurdistan”, “no sectarian federalism”, “no decentralisation of the oil sector” and “no ethno-sectarian quotas in government”). 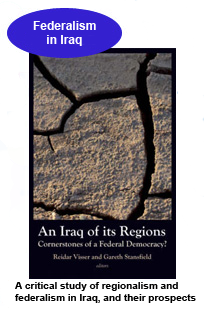 In that perspective, perhaps the best thing the United States could do would be to ensure two rounds of fair and free elections in 2009 and then leave – with a unified Iraq with out without Kurdistan as the most likely result. 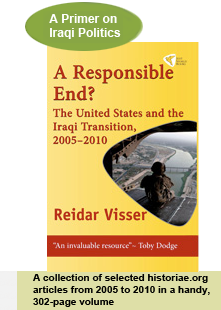 On the other hand, if we are to have a quick “settlement” based on Biden’s ideas about “700 years of conflict” and other similar guesswork about Iraqi history, then the region could very soon turn into a quagmire far worse than anything seen since 2003. It is in this perspective it is hard for an outsider to share the viewpoints of American intellectuals who talk of a big difference between Joe Biden and Sarah Palin when it comes to credibility on Iraq.